Gratitude – it feels good as I am sure you probably know. It can diffuse a negative mood. It can also begin partnerships. I’d like to share about some partnerships that have been benefiting the 2nd graders in Sandwich. Five years ago, Sandwich dentist Dr. Sadowski generously funded the purchase of a large, expensive aquarium tank for my classroom. I wasn’t a patient of his. I didn’t know him in the least. I simply expressed an interest in having a turtle in my classroom like my colleague, Christine Skirvan, had in her class. And Dr. Sadowski agreed to help. 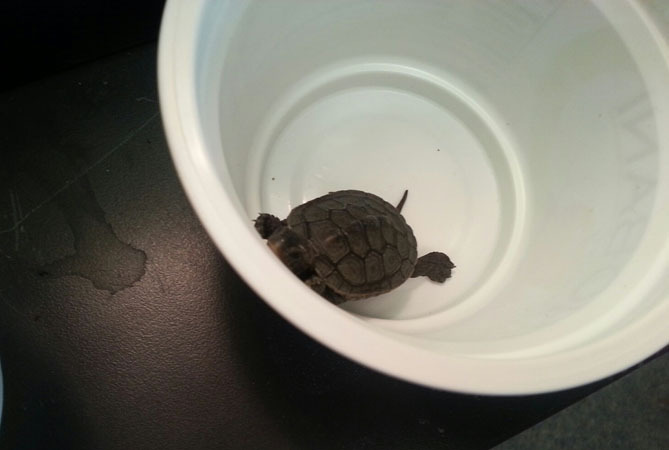 Having a turtle in my classroom is part of a program sponsored by Barnstable Natural Resources. They oversee participants like me (and the Sandwich Public Library) in the feeding and caring for of these nearly endangered turtles. It is called the Head Start Program. I say that it’s preschool or day care for turtles. The turtles don’t hibernate in the winter but stay warm and are fed in our tanks. 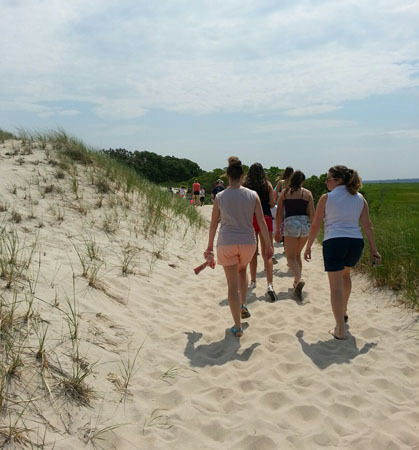 They get bigger and have a better chance of survival in their habitat at Sandy Neck Beach. The program includes returning them to that habitat in the spring. My class wrote a non- fiction big book in the style of children’s author, Gail Gibbons, about the turtles we were caring for. The students dedicated the book to Dr. Sadowski. This is gratitude for grade 2 students. They take book dedications seriously. Dr. Sadowksi and some of his staff, Mary and Nicole, came to hear the book read by the students and participated in our daily morning meeting. Dr. Sadowski and his staff were stuck by the wonder and joy the kids showed so honestly. A new partnership began – all by showing a little gratitude. Our simply gesture lead to conversations about what I needed to continue to foster a love of turtles to what I needed to teach science in an engaging way. These conversations have resulted in a true school/community/business partnership. A partnership that reflects how the values and visions of our partners match what teachers dream about doing! A partnership that enhances the experiences we can provide for our students. Dr. Sadowski expressed his passion for giving kids hands-on experiences with great conviction and we began to exchange ideas and plan activities. His staff members say that he has the “vision” and they are the ones who like to take care of the details and add a bit of fun. Dr. Sadowski and his staff proudly display photos taken during jointly planned activities and get a big kick out of the hand written thank you notes the kids write to them. His sponsorship of a turtle extended into Oak Ridge last year as well. Dr. Sadowski believes strongly in getting lots of local organizations involved in teaching our kids. His funding has helped us develop partnerships with the Barnstable Natural Resources, Green Briar Nature Center, and the Cape Cod Maritime Museum of Hyannis. Dr. Sadowski delights in watching kids build wooden boats, use sandpaper, and take data when we worked with the Cape Cod Maritime Museum on a project to build a wooden sailboats for experimenting with the wind. He is proud that our work together had led to kids advocating for our turtles and protecting the marsh. 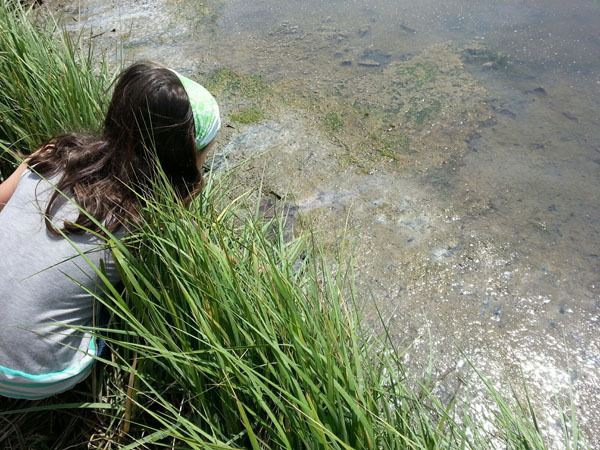 Yes, the kids really do advocate – -have a chat with one about the fragile interdependence of marsh life and you will be shocked and impressed. 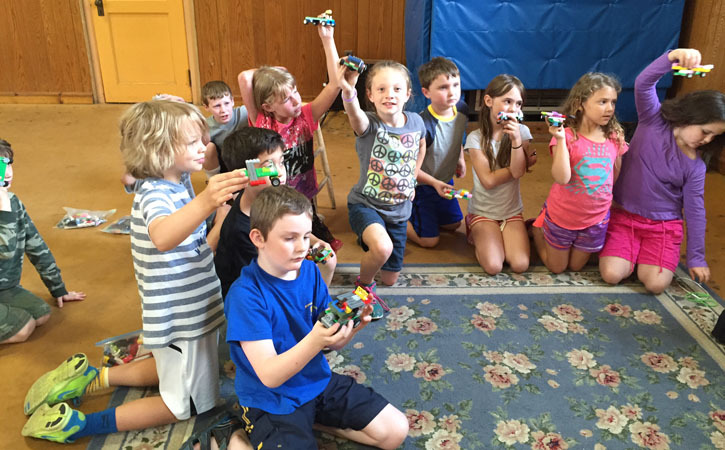 At Wing last year, all the second grades came together to race Lego cars on different surfaces. We had a redesign station as we discovered some tires worked better than others on some surfaces. We noticed that it was better for our cars to be heavier in the back. And they were more stable with a wide wheel base. Dr. Sadowski sees how the kids get giddy when using real scientific equipment like light up magnifiers or beakers. 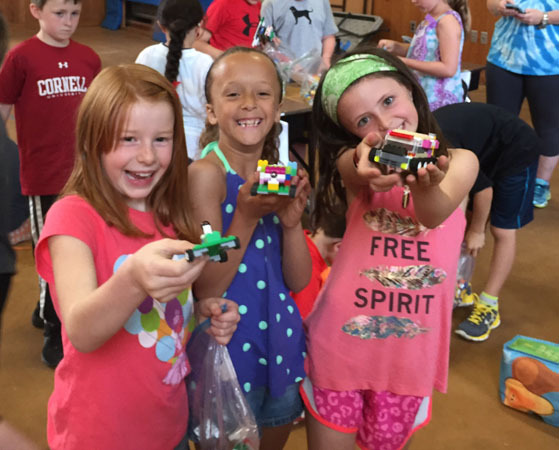 He purchased lego platforms so the kids could experiment with engineering by building cars out of legos and racing them. This contribution has blossomed into a special event for our second graders. Cape Cod 5 contributed this past school year too! An educational Mini Grant allowed the 2nd grade team to get more Legos so the kids could experiment with more variables. So, one great partnership leads to connections with other generous groups and local experts. I feel gratitude to have many in my community that feel the same and give freely of their time, talent, and money to my students. So bring up this article next time you see my “science fairy” Dr. Sadowski or my favorite naturalist Mary Beers at Green Briar, or the “turtle lady” Amy Croteau at Barnstable Natural Resources, or the educational grant staff at Cape Cod 5. I hope you have some time to listen to their passion about science, hands-on learning and making memorable educational experiences for kids. Also: show a bit of gratitude and say “thank you”- you never know where those simple words will lead.